More than 400 people are reported dead after a tsunami struck western Java and southern Sumatra islands during the evening of Dec. 22, 2018. Indonesia’s geological and weather service says the tsunami was likely caused by undersea landslides in the Sunda Strait following an eruption by the Anak Krakatoa volcano. 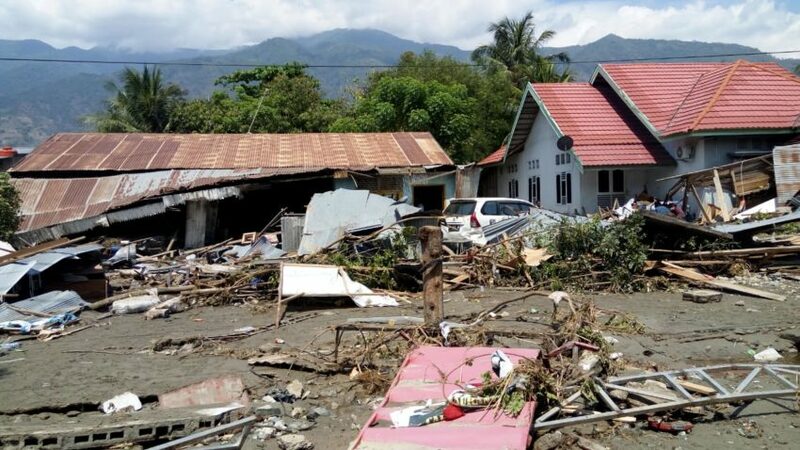 World Vision, which is simultaneously responding to earthquakes on Lombok island and Central Sulawesi, is assisting children and families in some of the worst-affected areas of Serang and Pandeglang districts on the west coast of Java’s Banten province. A few months earlier, a magnitude 7.5 earthquake struck Indonesia’s Central Sulawesi province on Sept. 28, 2018, triggering a tsunami and landslides that caused widespread destruction and loss of life. More than 2,000 people are known to have died and 4,400 are seriously injured, according to the Indonesia disaster management agency. About 1.5 million people in Central Sulawesi are likely affected. With about 68,000 houses damaged or destroyed, hundreds of thousands of people are still displaced. The Central Sulawesi quake occurred less than two months after a series of earthquakes struck Indonesia’s Lombok island. The strongest of those quakes was a magnitude 6.9 temblor on Aug. 5. More than 500 people were killed and nearly 1,500 were injured. The people affected by Indonesia’s 2018 earthquakes and tsunamis will need help for years as they rebuild their lives, homes, and communities. Provide emergency relief for children and families devastated by the latest Indonesia tsunami. Indonesians in Java and Sumatra experienced earthquakes in April and July 2018 respectively, but the most damaging quakes of 2018 occurred later on Lombok island and in Central Sulawesi. A series of earthquakes and numerous aftershocks badly affected North and East Lombok, including Mataram city, the provincial capital, which is home to 440,000 people. A magnitude 7.5 quake and tsunami killed more than 2,000 people and laid waste to Palu, the capital, and nearby areas on Sulawesi island. A tsunami struck Java and Sumatra starting at 9:30 p.m. and resulting in more than 300 deaths. The tsunami was likely caused by undersea landslides due to the ongoing eruption of Anak Krakatau volcano located in the Sunda Strait. Anak Krakatau’s most recent series of eruptions started in June 2018. Explore frequently asked questions about the 2018 Indonesia earthquakes, and learn how you can help children and families affected by disasters in Indonesia. Why are there earthquakes in Indonesia? What other kinds of natural disasters occur in Indonesia? How have children been affected by the 2018 Indonesia earthquakes? How can I help children and families in Indonesia? 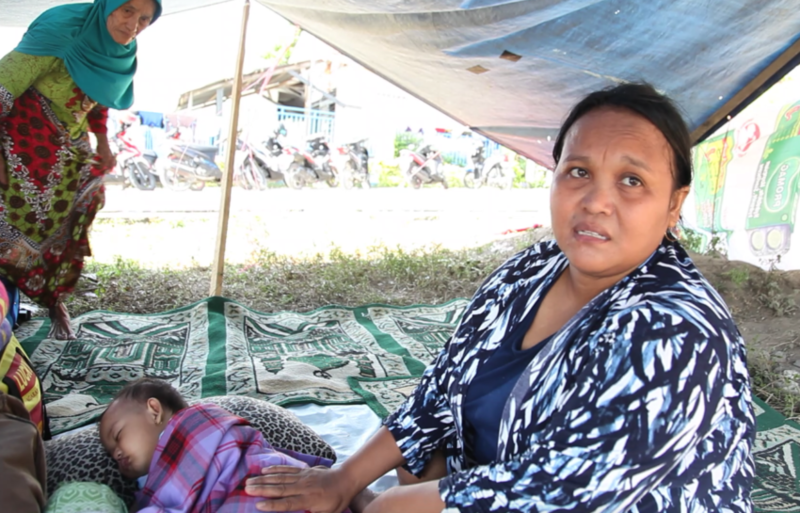 How is World Vision responding to the Indonesia earthquakes and tsunami? Earthquakes greater than magnitude 6 occur almost yearly in Indonesia. Nine significant earthquakes hit Indonesia during 2018; six measured magnitude 6.0 or greater. Aftershocks continued in Central Sulawesi into November, with a magnitude 5 quake occurring on Nov. 3. More than 2 million people are affected by the earthquakes. Indonesia is an archipelago that includes thousands of volcanic islands, which are created over time as plates shift and molten rock, or magma, exerts pressure. The Southeast Asian country is located on the Pacific Ring of Fire, where slabs of the earth’s crust — tectonic plates — clash, creating earthquakes when the plates shove against one another. Ninety percent of earthquakes occur along the Ring of Fire. Among the most deadly earthquakes in history was the magnitude 9.1 quake that struck off the west coast of the Indonesian island of Sumatra on Dec. 26, 2004, triggering a massive tsunami. This disaster killed nearly 230,000 people in multiple countries. What other kinds of disasters occur in Indonesia? In addition to earthquakes, tsunamis, and volcanoes associated with the Ring of Fire, Indonesia is prone to droughts and floods. Java and Sumatra, the southern and western islands, experience a wide variety of natural hazards. 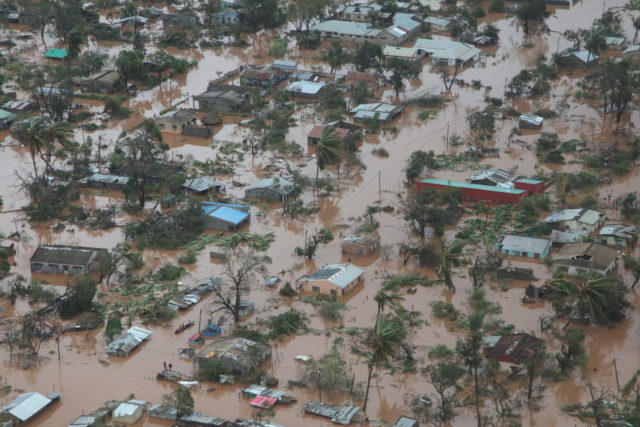 On the other islands, droughts and floods are the most frequent. In inland areas with steep terrain, heavy rains cause not only flooding but also landslides. Indonesians have a history of clearing land by burning, which has turned into an environmental hazard as more land is needed for cultivation. The 2015 fires, the worst in 20 years, exposed millions of people in Southeast Asia to toxic haze. How have children been affected by the 2018 Indonesia earthquakes and tsunamis? Children who were affected by the 2018 Indonesia earthquakes and tsunami may have lost family members and friends as well as their homes and possessions. The Indonesian government and humanitarian organizations are working together to ensure protection for children to prevent trafficking and exploitation. Like their adult caregivers, they need shelter, clean water and sanitation, and access to medical care, but they also need support to return to play, education, and a sense of security. In Central Sulawesi, an estimated 460,000 children in four districts are affected. Ten-year-old Olivia told staff at a World Vision Child-Friendly Space, “the earthquake has destroyed and swallowed up our home.” Olivia was at a village football game when the quake hit. Her father grabbed her hand and ran with her to the top of a hill as the ground moved and people cried out. Now her family lives under a tarpaulin cover at an evacuation center. Olivia’s school books and uniform are gone; she has only the clothes she was wearing. But what makes her most sad is that she lost her favorite doll. Please support World Vision staff in Indonesia to aid earthquake-affected people in their recovery. 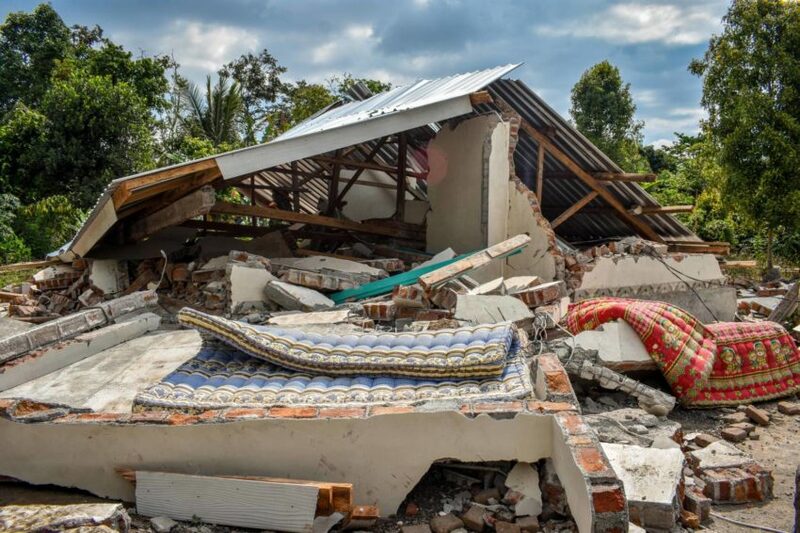 Give: Help us reach out to hurting families by donating to World Vision’s Indonesia tsunami relief fund. Pray: Join us in praying for people affected by the earthquake as well as for World Vision staff and emergency responders. Almighty Father, we ask for Your mercy on those affected by the earthquakes and tsunami. Protect people. Guide aid workers and emergency responders in the hard-hit areas and as relief measures continue. 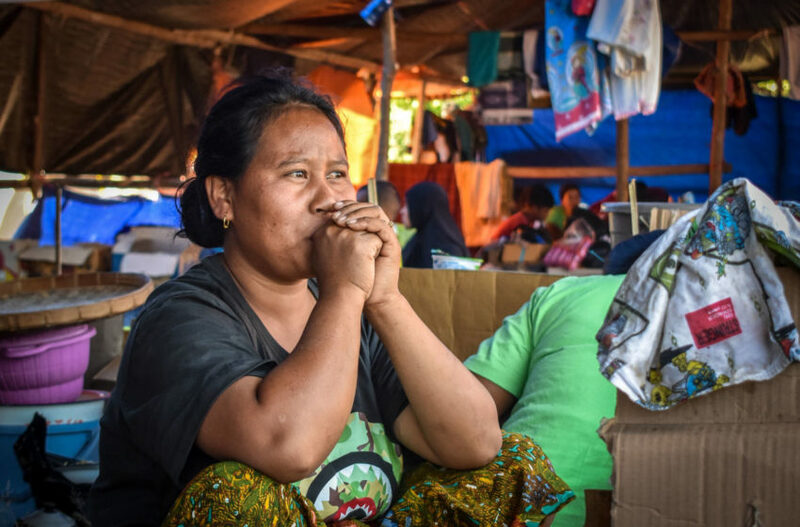 How is World Vision responding to Indonesia disasters? World Vision established its ministry in Indonesia in 1960. Over the years, we have focused on improving the lives of children through long-term development programs that emphasize health, education, livelihoods, water and sanitation, and disaster risk reduction. World Vision has also responded to disasters in Indonesia, including the 2004 Indian Ocean tsunami. 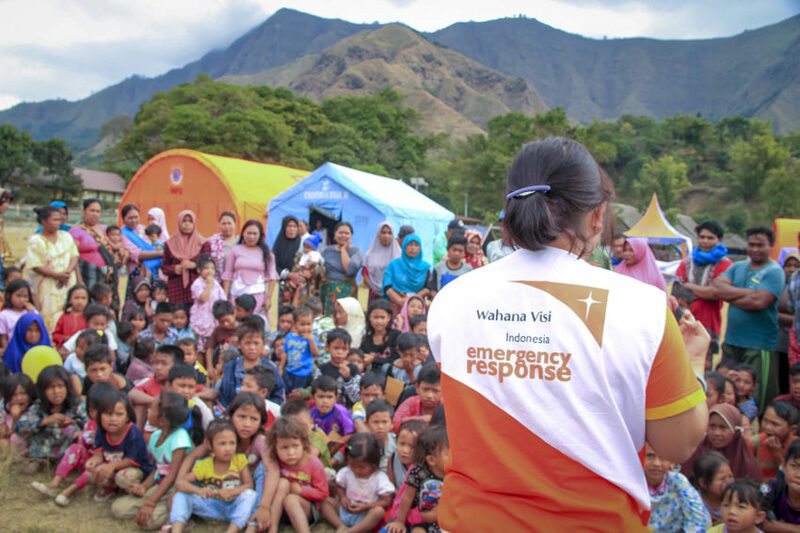 Soon after the 2018 earthquakes in both Lombok and Sulawesi, the staff of Wahana Visi, World Vision’s locally-registered partner, sprang into action and began distributing pre-positioned emergency supplies, including family household items, shelter kits, and hygiene supplies. Indonesian staff, many who had suffered losses themselves in the earthquake, stepped up to serve their own people. A feeding center was quickly set up in World Vision’s office compound in Palu city, Central Sulawesi, to help mothers care for and feed their children. In Central Sulawesi, thousands of people have been helped with water and hygiene, food and infant feeding, household items including blankets and solar lanterns, and Child-Friendly Spaces where children can play and recover. 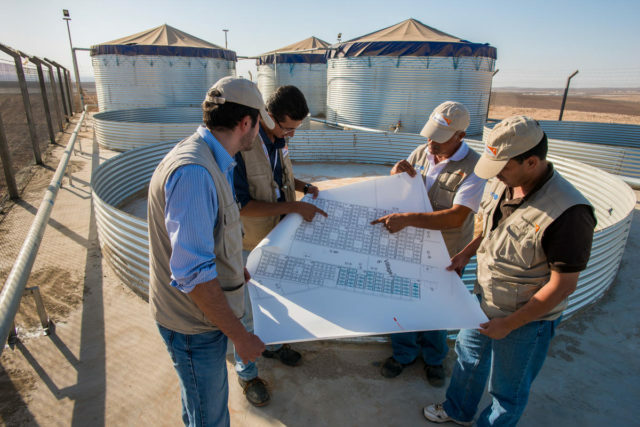 In addition, World Vision is working to restore education opportunities by repairing and equipping schools and providing training in disaster risk reduction. 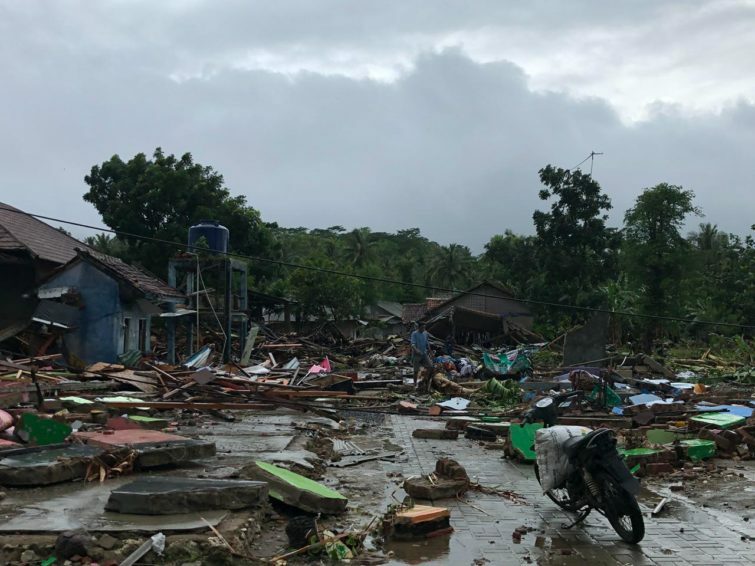 In response to the Dec. 22, 2018 Sunda Strait tsunami, World Vision is distributing hygiene and household items to families who have lost their homes as well as providing safe places for mothers to feed infants and young children and Child-Friendly Spaces where children can play and recover. 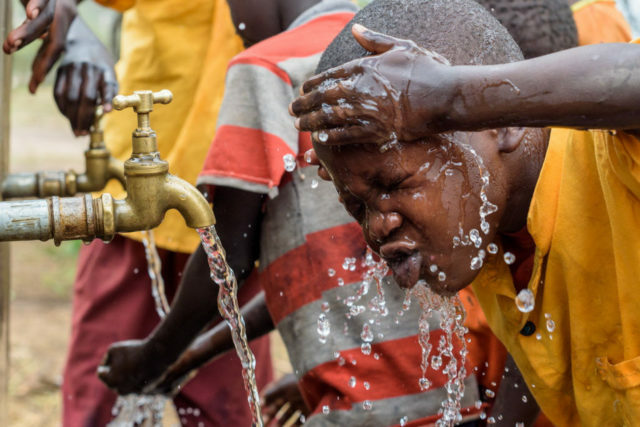 The organization plans to assist 15,000 people over nine months with activities that include restoring water and sanitation, shelter, livelihoods, and education. Heather Klinger, Kristy J. O’Hara-Glaspie, Sevil Omer, and Kathryn Reid of World Vision’s staff in the U.S. contributed to this article.